General Motors India (GMI), the Indian arm of the bankruptcy-hit US auto giant General Motors Corp, has postponed the deadline for grabbing 10 per cent share in the Indian car market by a year. Even as there were talks of Indian operations not getting affected by its parent’s filing for bankruptcy in the US in June, the economic slowdown has forced GM India to revise its deadline for the targeted market share to the end of 2011. “We would now be realistically looking at our 10 per cent market share target by the end of 2011 instead of next year-end, as the economic slowdown has forced us to change plans,” said Karl Slym, president and managing director, GMI. Having sold around 30,000 units in the first seven months of the ongoing year to July, the carmaker is optimistic of scoring a 10 per cent growth in sales over its 2008 figure of 65,702 units. Backed by four new launches, including a small car next year, Slym hopes to gross 50 per cent growth in 2011, propelling the carmaker’s India market share to 10 per cent.“With the launch of Cruise and the mini car this year and four new launches next year, we are hopeful of getting a growth of 50 per cent ,” Slym said. The company’s small car, Chevrolet Spark, is a major part of its sales numbers and the company is targeting to sell 40,000 units of the model this year. petrol variant early next year. 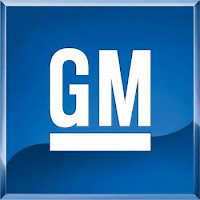 GMI will increase focus on its used car biz – ‘Chevy Ok’, which operates along with GM’s 17 dealerships across India. “By the end of this year 50 of our dealers will be connected with Chevy Ok outlets,” Slym said. The company also plans to expand its network to 260 dealerships from the current 203 within the same period.